Quinns: Good morning, my playful pickles! Before we start, realise what a marvelous audience you are. You want for nothing more than a glimpse of the fun you’ll be having with your friends in the future. You’re beautiful, all of you. If you’re anything like me, Hand Made Wonders (pictured above) will be the source at least one evening of boozy giggling. 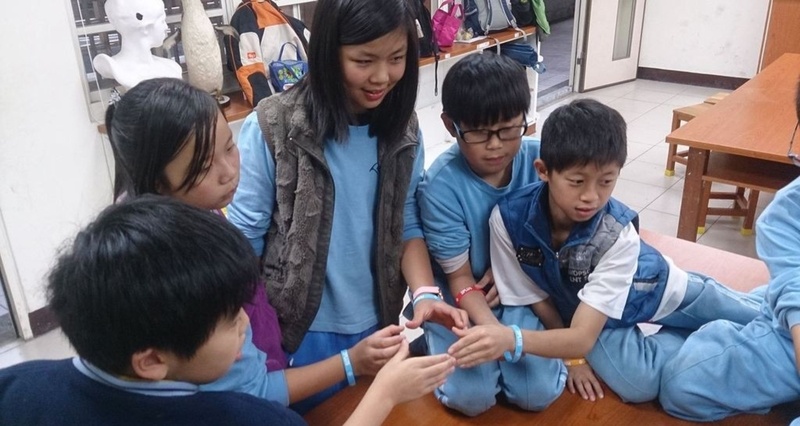 This is an upcoming Taiwanese game where players build monuments out of their hands, but where your left AND right hand will need 3 points each to win, and everyone’s hand is part of a different team (determined by the two different-coloured bracelets you’re wearing). Look at this silly thing! The pictures of people actually playing in the above link all look pretty sedate, is my only concern. I’m excited at the idea of people bickering during the construction of the Leaning Tower of Hands because half the players want to use their left hand, the other their right. I’d love this to play something like Panic on Wall Street, but it’s Panic in Hand Land. 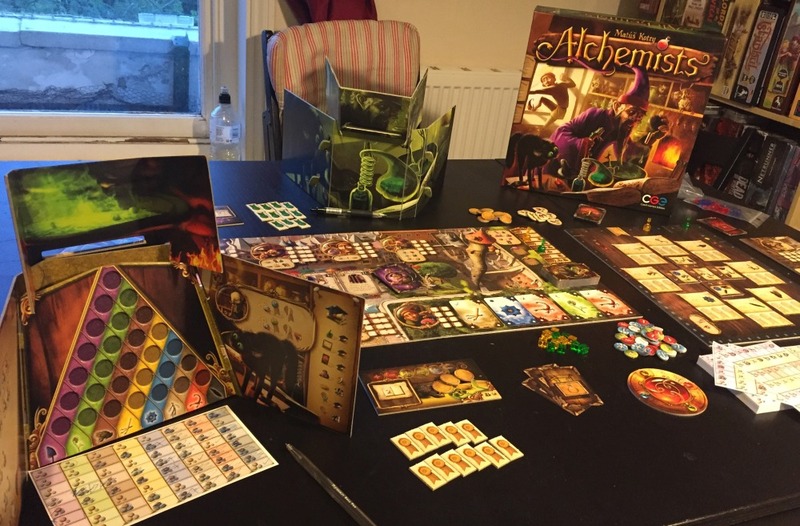 Alchemists has just received a 2014 release date from inexhaustibly interesting publisher Czech Games Edition. In it, 2-4 players control fantastic alchemists in a fairly complex management game. You’ll collect ingredients, concoct potions, sell the few potions that don’t cause your assistants to burst, and publish theories. But all the while you’ll be playing a delicate deduction game on top of this, because the game starts with nobody having any idea what the ingredients do. This is achieved via the real-life wizardy of an accompanying smartphone app. When you start a game of Alchemists the app randomises what everything does, then it’ll tell each player the result whenever they brew two ingredients. That’s definitely one way to look at it! The other way is that it’s “unfortunate” when board game designers don’t feel comfortable incorporating smartphones into their design, thus throttling the creative potential of the ENTIRE HOBBY. I say bravo, Czech Games! 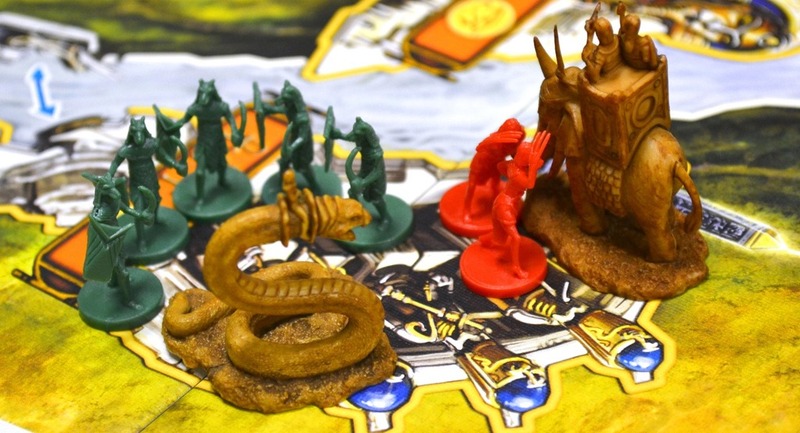 Remember our Kemet review, aka “Kemet: It’s Just Clever / It’s So Clever / It’s Just Clever”? 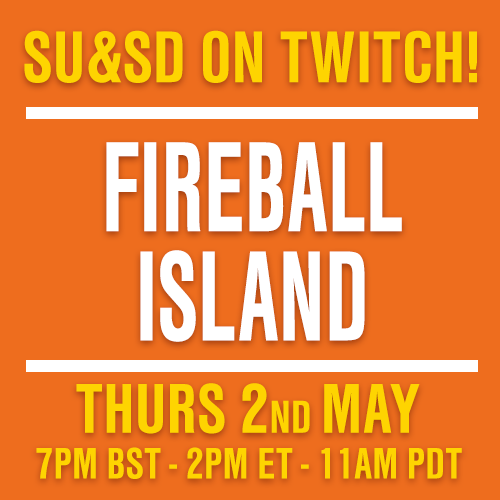 Guess which game is getting an expansion soon! I bet you can’t guess. Are you ready? You’ll never guess. That’s right it’s Kemet. No images just yet, but Kemet: Ta-Seti sounds like a beast. Kemet’s preposterous biblical Pic-n-Mix of powers is getting expanding with a fourth colour, and a fourth pyramid to go with it. So now rather than simply levelling up in Attack, Defense and Admin, you’ll have to abandon one of the four colours entirely, seeing as your city only has slots for three pyramids. All of this in addition to bulletpoints that just read “A new game phase (dawn)” and “THE PATH OF SOULS”. All of which is going to make no sense if you haven’t played Kemet. Heck, I’ve played Kemet and it barely makes any sense to me. 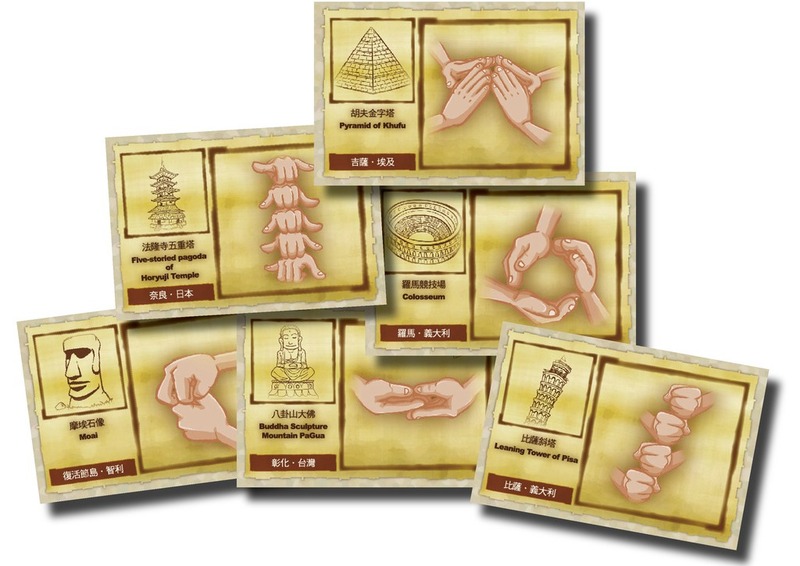 But basically imagine if Rock Paper Scissors got a fourth shape. Also, a new game phase (dawn) and a PATH OF SOULS. Paradox is another upcoming 2014 release, and it looks delightfully strange. 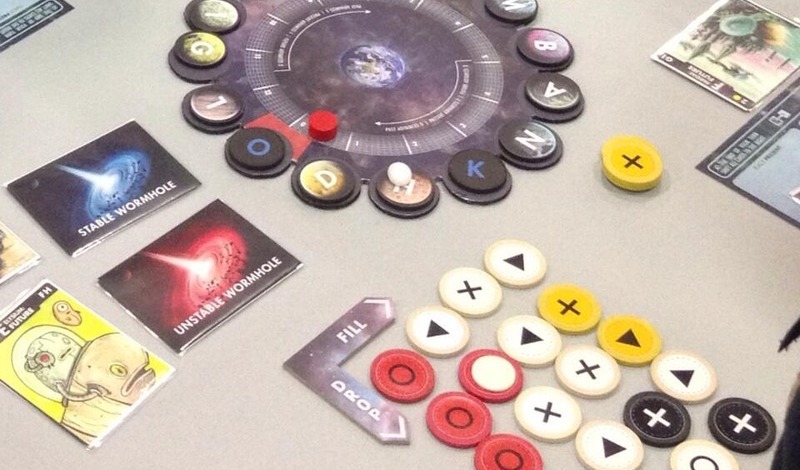 This Board Game Geek preview sums up some rules, but here’s a summary. Reality has collapsed into a hot mess of timelines, each illustrated in the game by a different artist. Worse, humanity has accidentally created something called the Quake which threatens to remove whole planets from existence. And this isn’t even the real problem. The real problem is that only the player/scientist with the most victory points will get the accolade of saving the universe. Meaning, you’re going to be breaching spacetime to anchor other points in space, eliminating some worlds to save others. Oh dear. AND FINALLY, supposedly-not-bad-we-don’t-have-an-opinion-even-though-its-been-sitting-in-our-review-stack-for-six-months-sorry-everyone co-operative game Zombicide has received a Kickstarter for its “Third season”. I find it fascinating how they do these Kickstarters, but then I’m a huge dweeb. 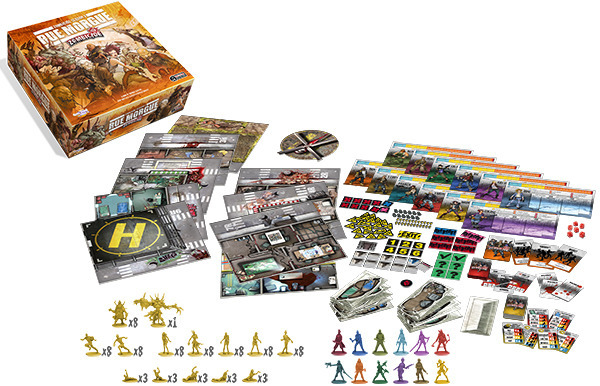 Basically, each season’s Kickstarter features a big-box Zombicide campaign for you to play through, which also functions as an expansion if you have the game already. Then there’s a smaller, faetured boxed expansion and a ton of still-smaller expansions that they sell alongside these (new characters! zombie crows!). All of this is sold at anywhere from 10% to 25% off retail price, with the discount getting deeper the more stuff you order. Then the publishers send a metric crapload of stretchgoals to everyone who orders anything (at the time of writing Season 3 is shipping ALMOST FORTY STRETCH GOALS), thus creating a terrifying perpetual-motion zombie-manufacturing machine. Almost like a real zombie virus, I guess. 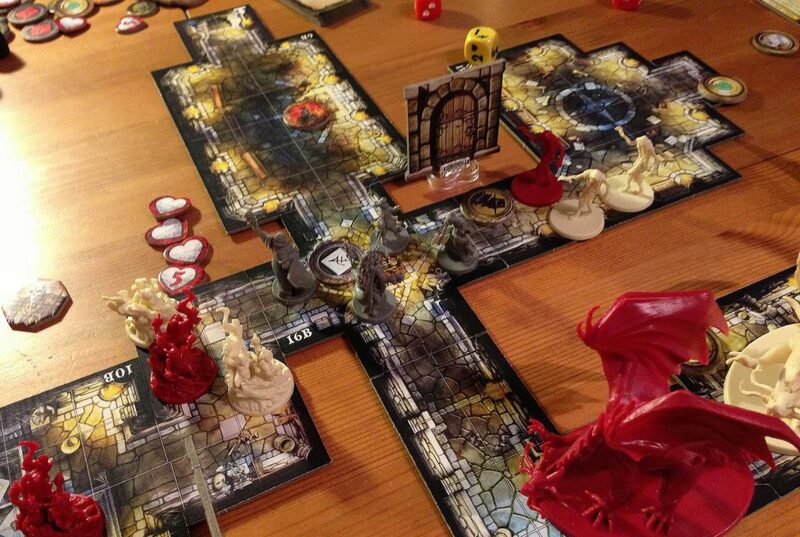 Speaking as somebody who loves expansions, this arm of Zombicide has always held incredible allure for me. But it’s only this arm. And as all teenagers quickly find out, an arm cannot sustain a loving relationship. Let’s just pray that this never happens to a game I do love. You’d never see me again.